The first part of the Superstar Shakeup took place on Monday Night Raw this week, and it saw a number of SmackDown stars, including AJ Styles moving to the Red Roster. 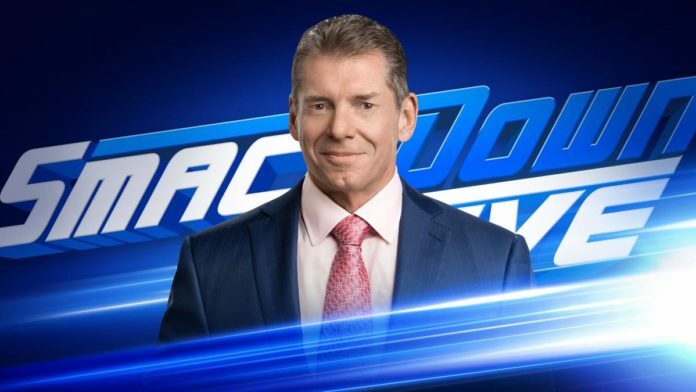 The second part of it will be held on SmackDown Live this Tuesday Night, and WWE is teasing a big announcement for the show with the television return of Mr. McMahon. Speculation on who this star could be have already begun. Two of the most obvious names being thrown around are Roman Reigns and Braun Strowman. Both of these stars have been on Raw since the beginning of brand split and a brand switch can definitely provide them the opportunity for some fresh feuds. Though whether it’s them or a completely different star the Boss has handpicked for the glory will be revealed on SmackDown Live and we’ll have to tune in to the show to find out.